The PC 230 offers first-class sound for listening to music on your computer, chatting, gaming or watching a DVD. High quality Sennheiser speakers and an advanced noise canceling microphone give you stereo quality of the highest order. The PC 230 is light and comfortable to wear, with simple and innovative features that make it easy to use. The microphone boom is designed to swivel almost 360°, so you can choose to wear it on your right or left ear. 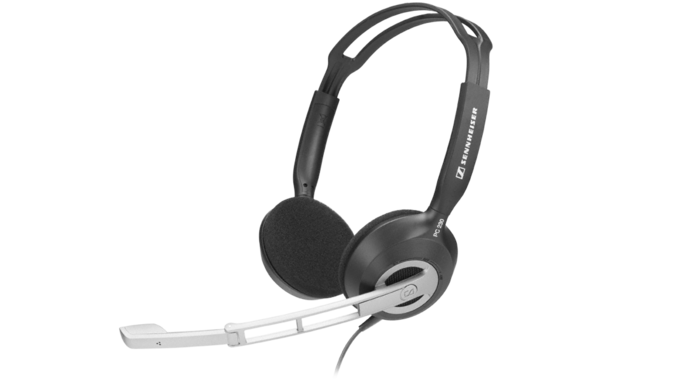 The PC 230 also features an automatic smart microphone mute. To activate it, simply push the microphone boom up and away. It’s that simple. To make chatting as simple and non-technical as possible, we have included the volume dial on the ear cup – unlike other headsets which feature it far down on the cable. This means you have more natural, and therefore quicker and easier, access to controlling the sound level.